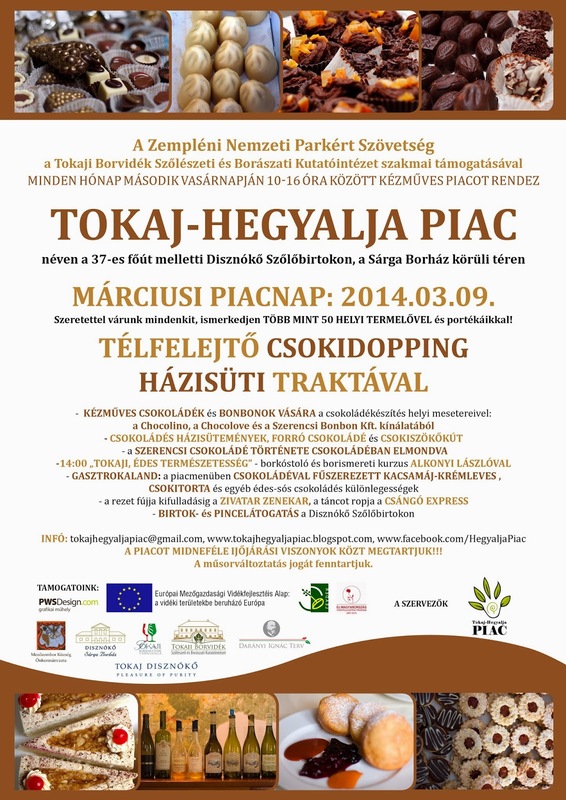 Tokaj Hegyalja Piac - local artisan market: Chocolate doping - with a feast of homemade cakes! Chocolate doping - with a feast of homemade cakes! Spring is here - the air is warmer, the sun energising and the birds are singing! Hurray! Come to celebrate with us at the market Sunday, 9th March - all things sweet will be in focus. A plethora of chocolate and homemade cakes: handmade chocolates and sweets, chocolate cakes, hot chocolate, chocolate fountain and duck liver cream soup with chocolate! Even the history of the local Szerencs chocolate factory in chocolate. I'm intrigued!